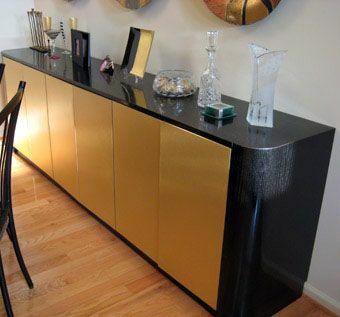 Contemporary design and Italian laminate in black wood grain join to make this piece a true beauty. The curved radius on either side makes for a smooth looking design. The copper doors complete the sleek look.